Seaweeds are the plants of our oceans. Similar to land plants, seaweeds play an important role in absorbing large amounts of carbon dioxide and turning it into oxygen we all need in order to live. Most of us view seaweed as that smelly stuff that washes up on the shore, frequently thrown around by rowdy kids and teenagers. A storm or human extractive activities are the root cause for seaweeds to be washed up on the shore. When washed up, seaweeds are dead and decomposing which is why you crinkle your nose to that funny smell. 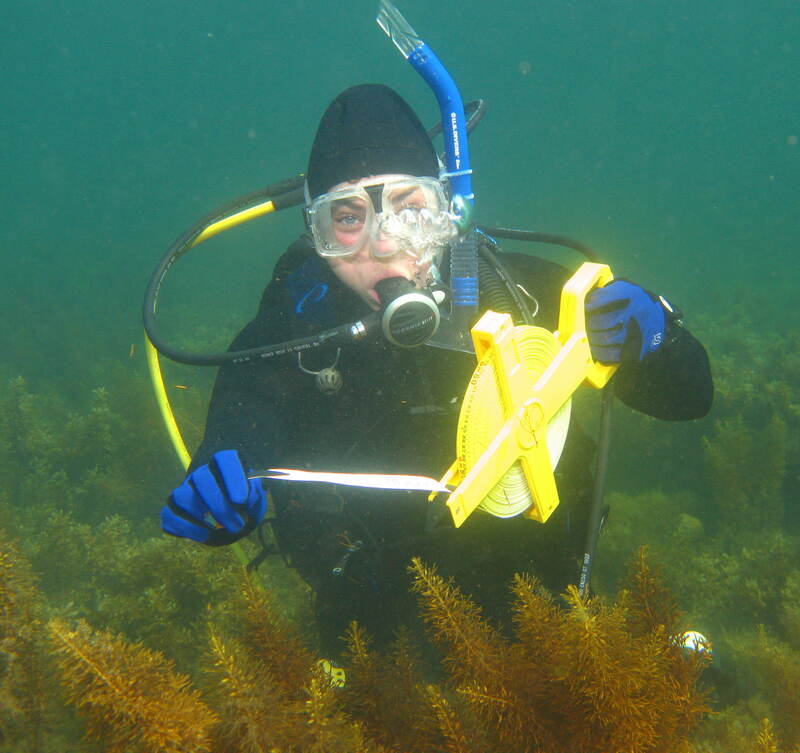 Dalton Koss HQ Partner, Rebecca Koss, doing underwater monitoring and surrounded by the brown seaweed Cystophora subfarcinata. Seaweeds are beautiful and come in a range of colours, shapes and sizes. They provide homes and protection for many ocean animals. Some seaweeds provide food for animals and are the basis for many food webs. Even humans harvest seaweed for food and other products. Here are some more interesting facts about seaweeds. Fact 1: Seaweeds are plants, scientifically termed macro(large) algae. They are simple plants without roots, stems, leaves or flowers. Fact 2: Seaweeds grow on the intertidal shore and in subtidal areas. Like land-based plants, seaweeds harvest sunlight for photosynthesis and will only grow at depths where sunlight can penetrate the water column. Fact 3: There are three major seaweed groups and they are based on their colour: red seaweeds (Rhodophyta), brown seaweeds (Phaeophyta) and green seaweeds (Chlorophyta). Fact 4: There is a fourth group of seaweed that is often contested to being a true seaweed amongst marine algae biologists (scientists who study seaweeds). This is the blue-green algae (Cyanophyta). Fact 5: Some seaweeds are very small and grow on other seaweeds when environmental conditions are opportune. These seaweeds are known as epiphytes. Fact 6: Some seaweeds have long fronds and can grow up to 10 meters in height creating underwater forests, for example, the large brown kelp Macrocystis angustifolia that grows in southern Australia. Other seaweeds are small, encrust hard structures and often look like lichen. In the above picture, there are different growth formations of red seaweed. One growth form encrusts the snail’s shell (middle of the photo) while another growth form has fronds (top of the picture). Fact 7: Seaweeds attach themselves to solid structures such as rock and wood pylons using their holdfasts. Holdfasts are like a whole bunch of fingers tightly gripping onto a solid item. However, seaweeds are smart and go one step further. 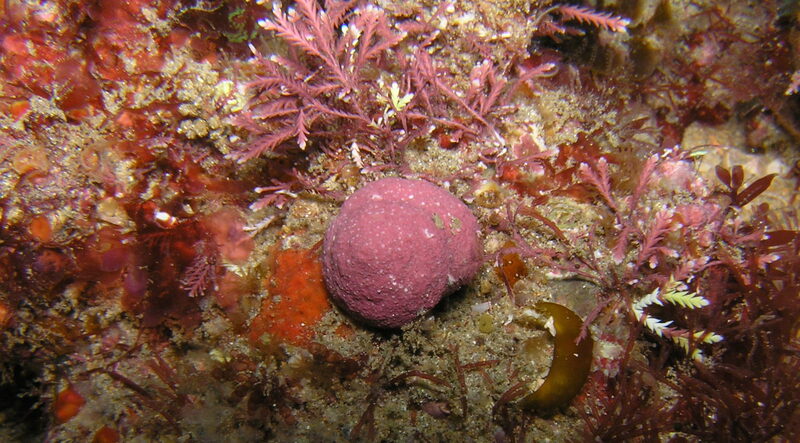 Holdfasts secrete a chemical that is similar to superglue to ensure the seaweed is permanently stuck to that structure. This allows the seaweed to withstand strong currents, tides, swells and stormy conditions. This super glue like chemical is being researched by chemists as a natural product to be used in human products, e.g. glues that can be used for building houses. Fact 8: Some seaweeds are harvested globally as food, medicine and as a product for other applications such as toothpaste, ice-cream, soil fertiliser and shampoo. Fact 9: Port Phillip Bay located in Victoria, Australia has over 200 different types of seaweeds and is one of the most diverse seaweed locations in the world. While seaweeds might be pretty stinky while decomposing on the shoreline, without them our oceans would be pretty dull and devoid of life. 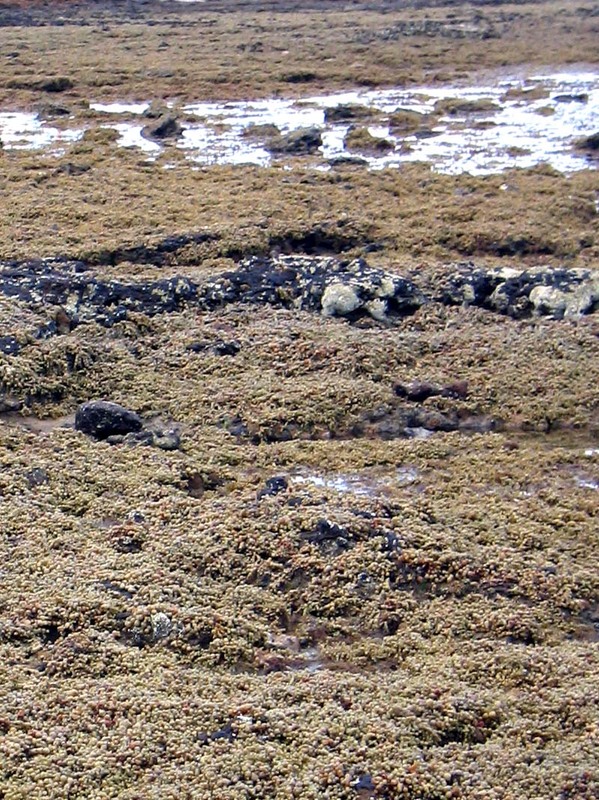 The brown seaweed Hormosira banksii growing on the rocky intertidal shore.